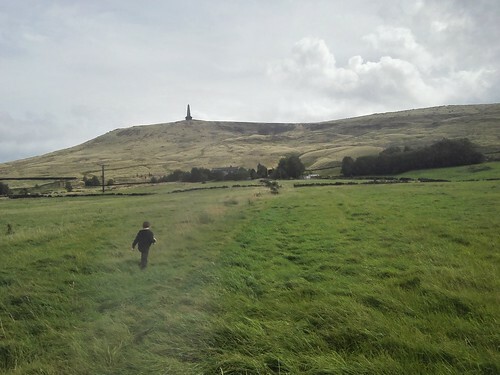 Last Friday, we visited Stoodley Pike, a monument commemorating the defeat of Napoleon, originally built in 1819 and rebuilt in 1856. 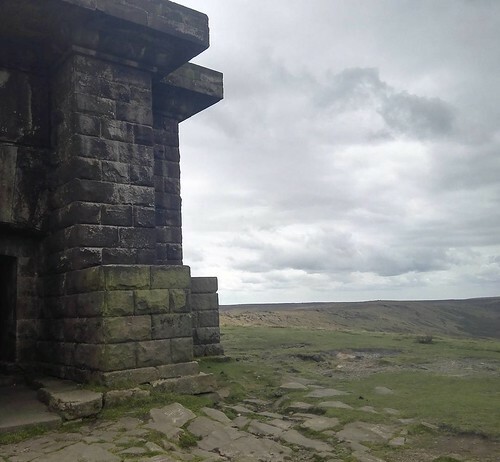 It’s quite a short walk from the Harvelin Park estate of Todmorden, but 180m of elevation change, so it was quite an effort to get up to it! (Google maps link) It was very windy at the top of the hill around the monument. There is staircase inside to a balcony 40 feet up, the whole monument is 121 feet tall.